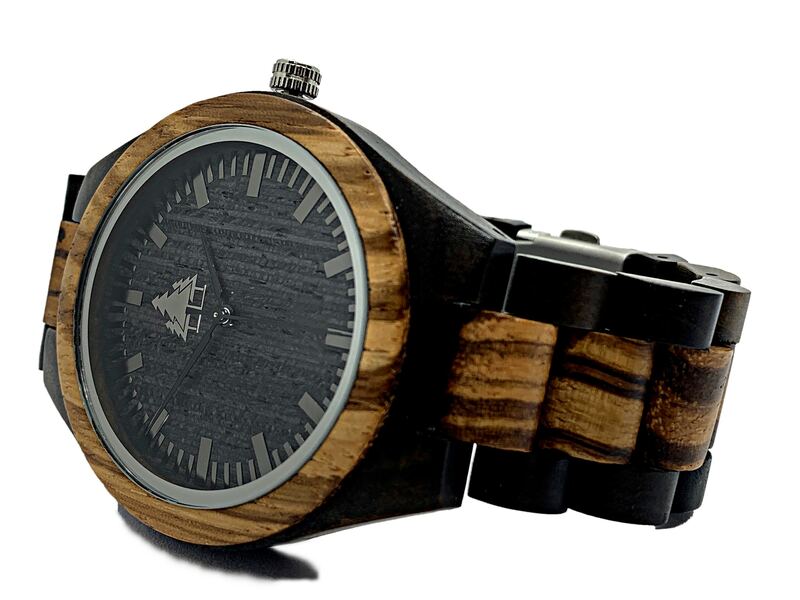 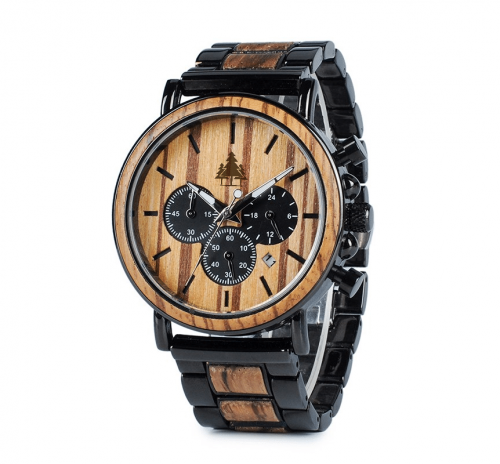 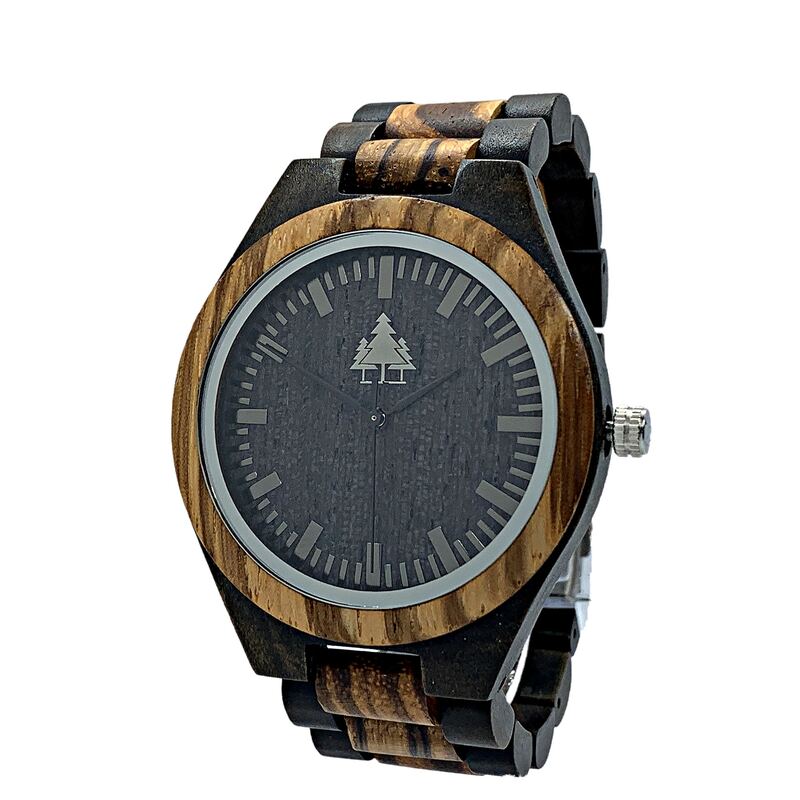 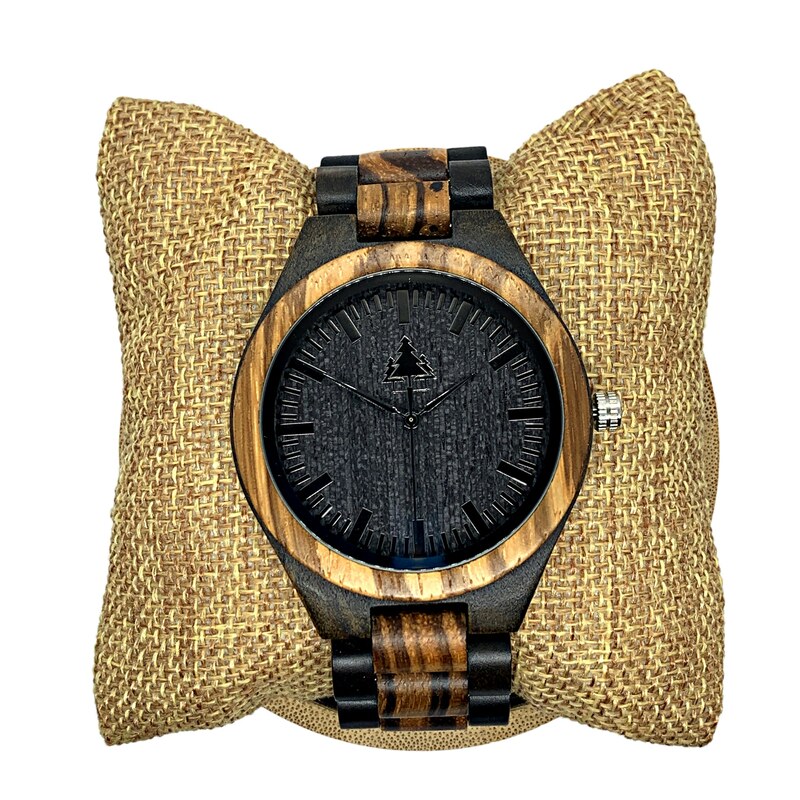 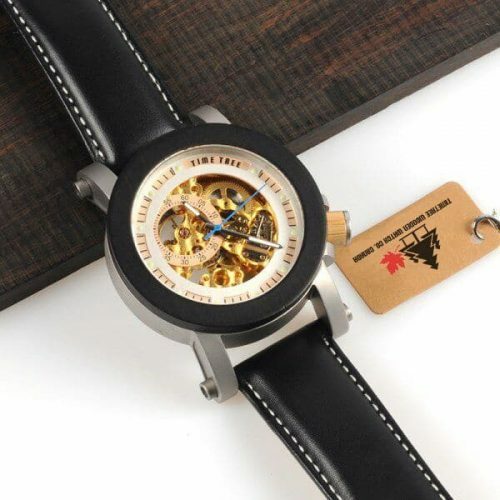 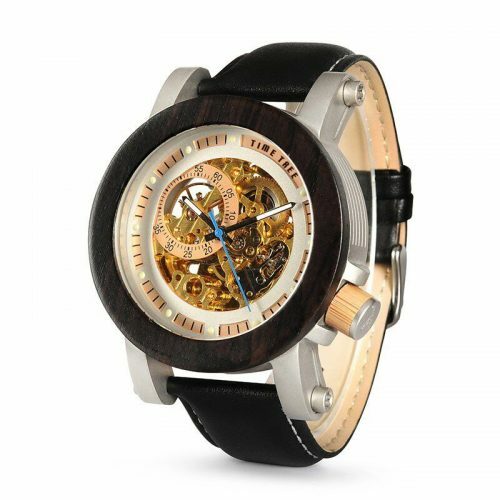 The Rustic Grande Dark all wood watch is equipped with a high-quality Japanese quartz movement time piece and a stainless steel button and clasp. 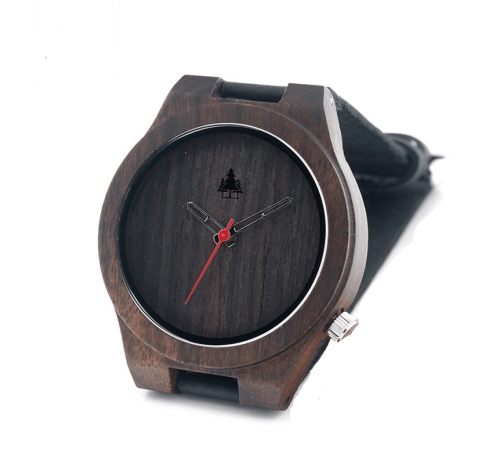 Diameter of the dial is 45 mm. 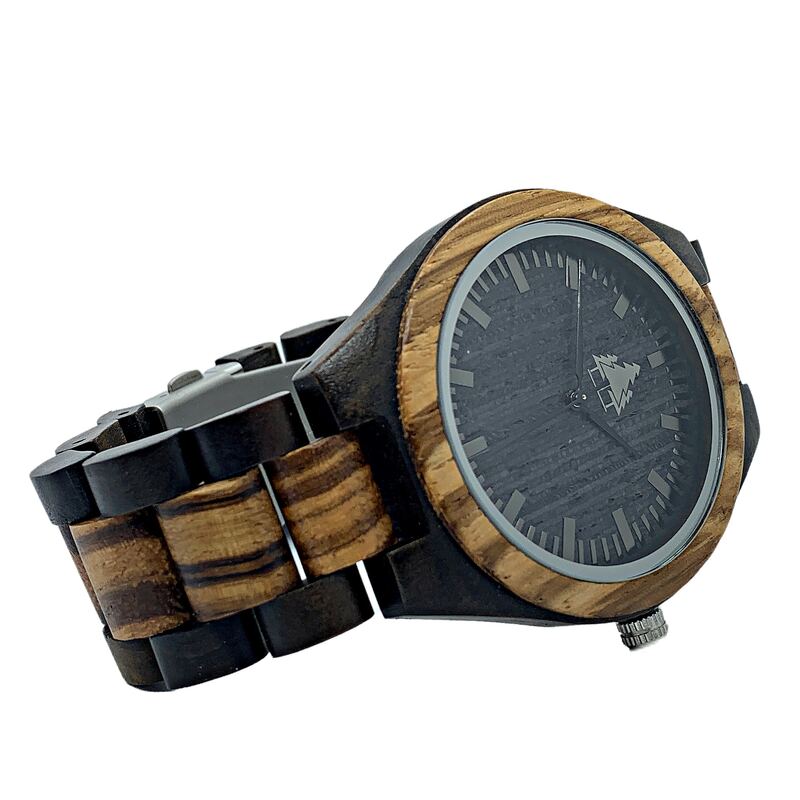 The strap and case is made out of 100% all wood. 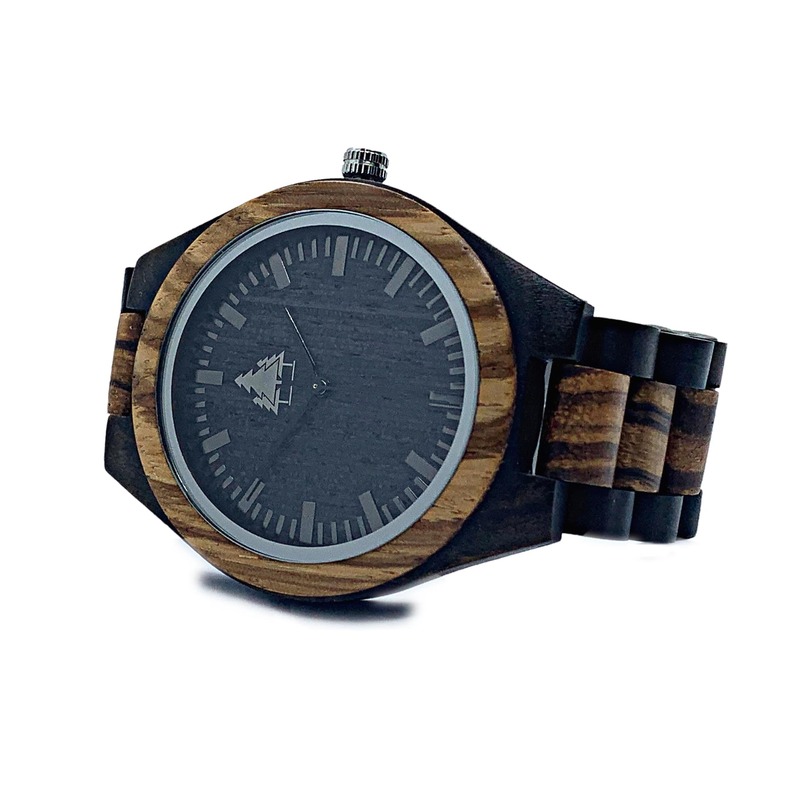 No Dyes or chemicals are added to make these watches and are 100% environmentally friendly. 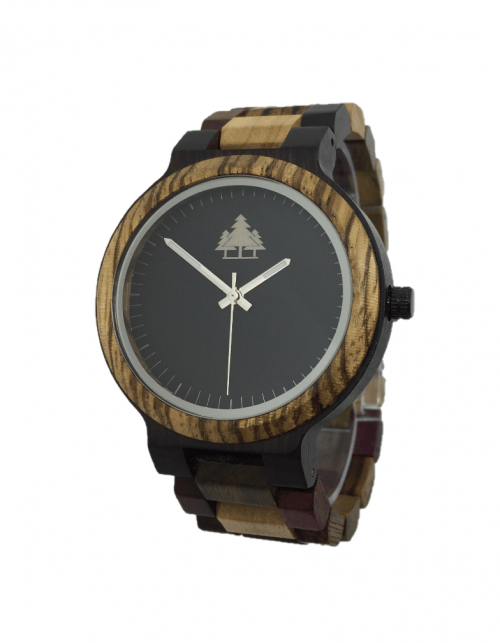 It does more than just benefit the environment to buy a Timetree watch. 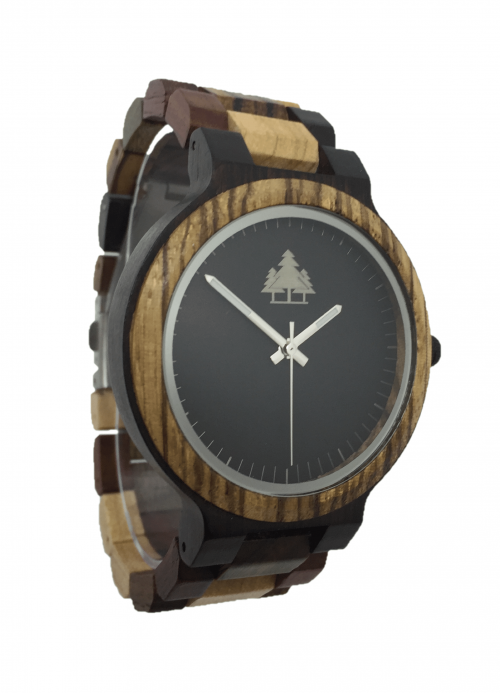 Planting trees using the hands of time, that’s the Timetree difference! 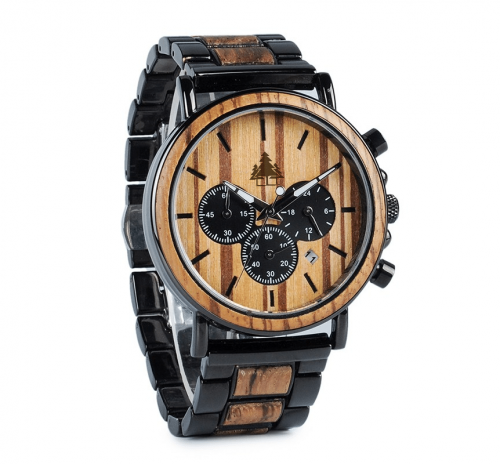 Not Waterproof more splash friendly! 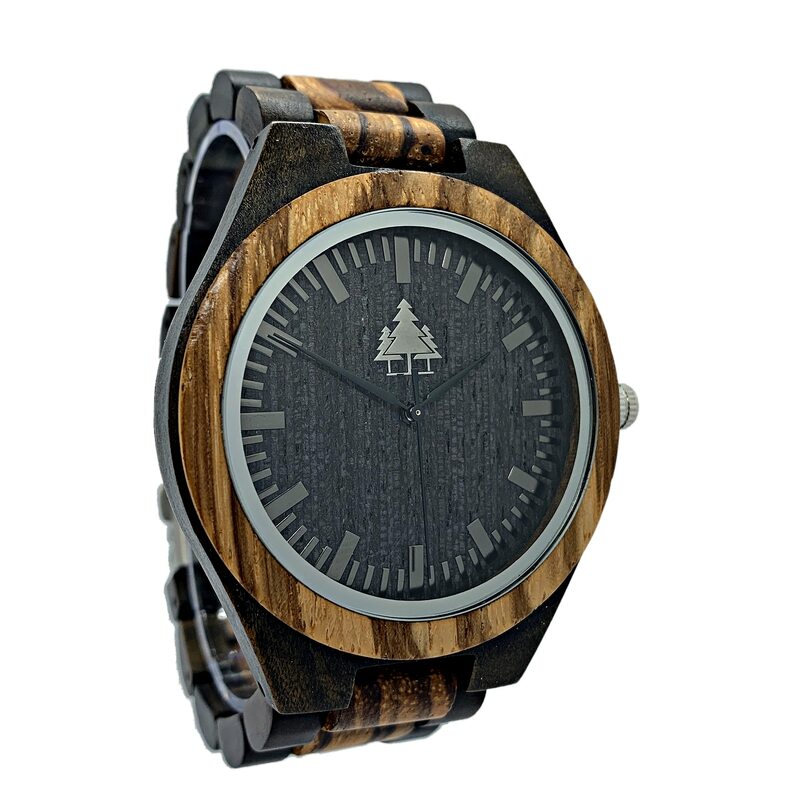 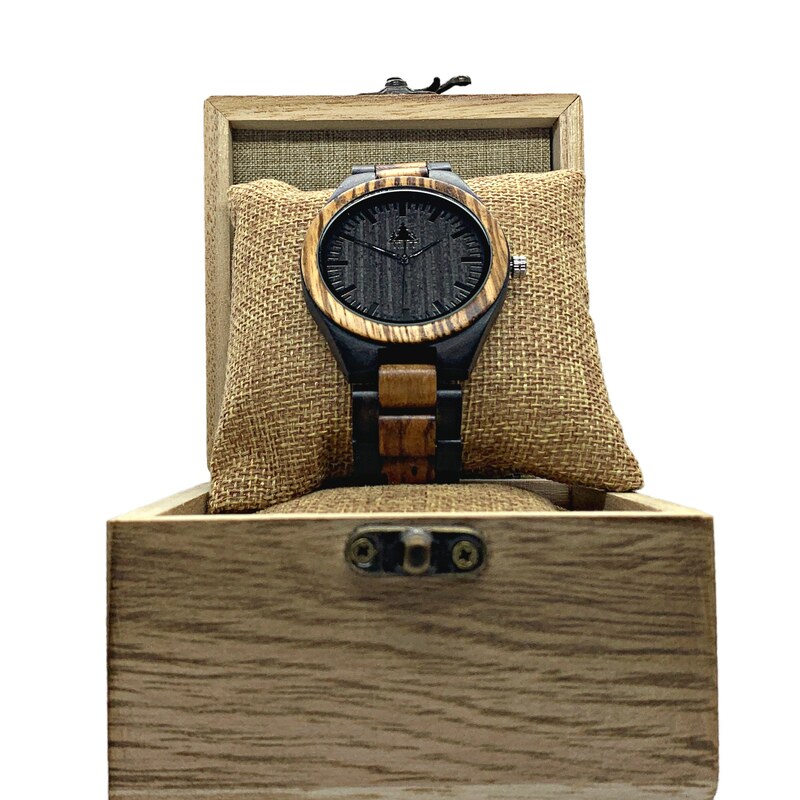 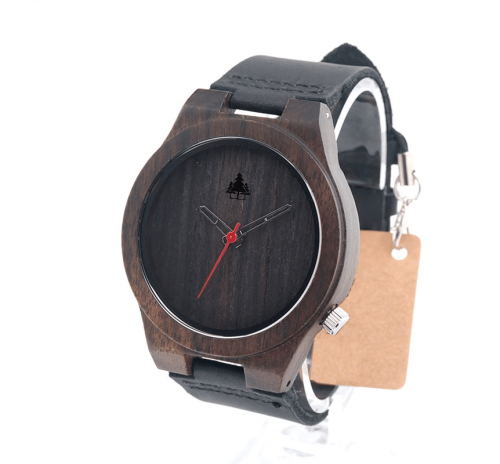 All Wood Gift box Included with EVERY Timetree Watch! 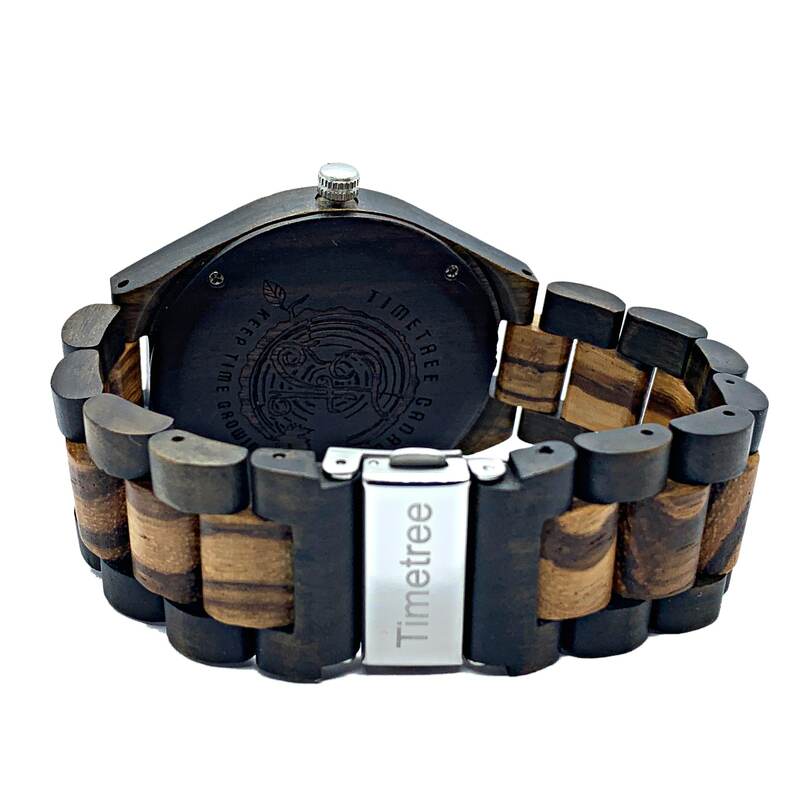 © Copyright 2018-Timetree Canada Inc.